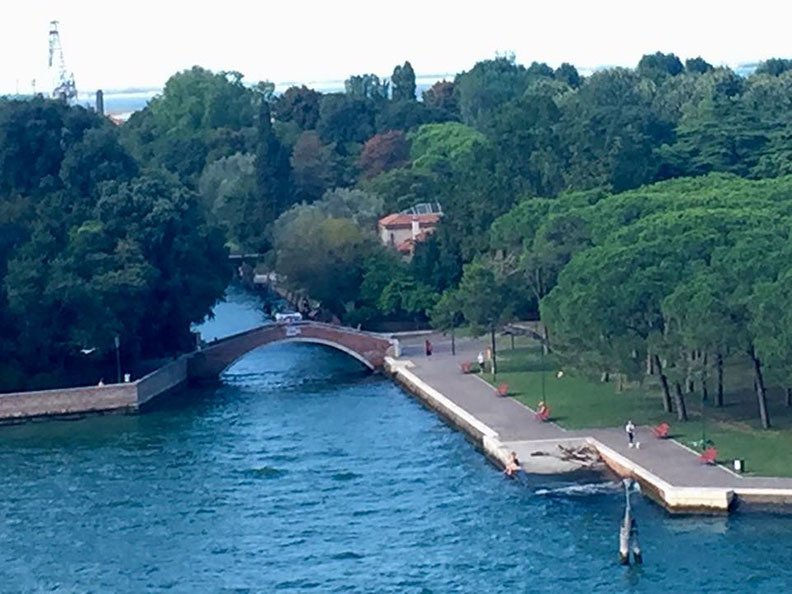 When you get off the train in Venezia, the first thing you see is the Grand Canal. 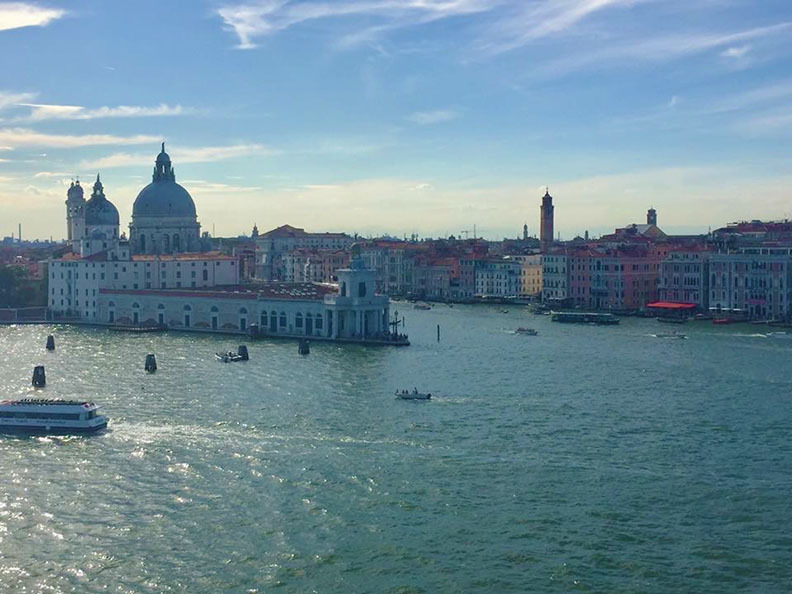 We finally made it to Venice, but couldn’t hang out because we had to get to the cruise ship for the next part of the vacation, (which is a cruise through Greece!). 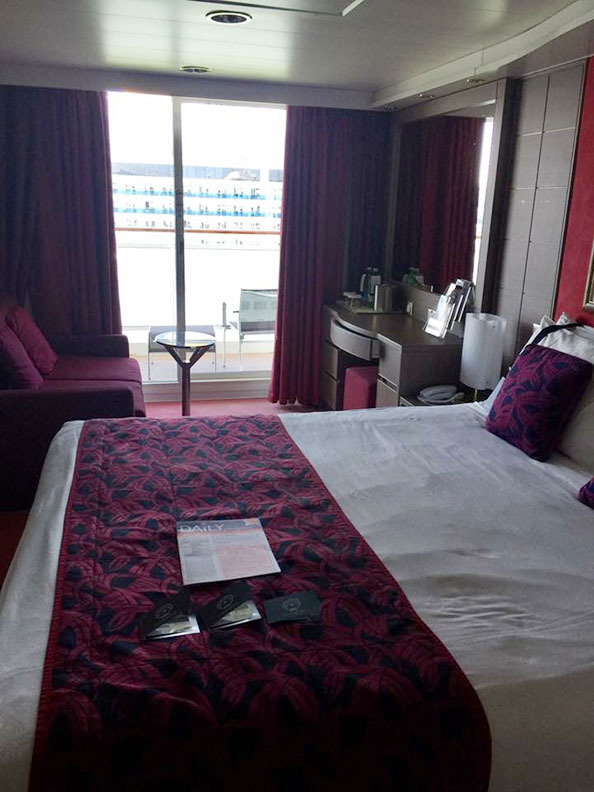 The cruise port is walking distance from the Venezia Santa Lucia railway station. 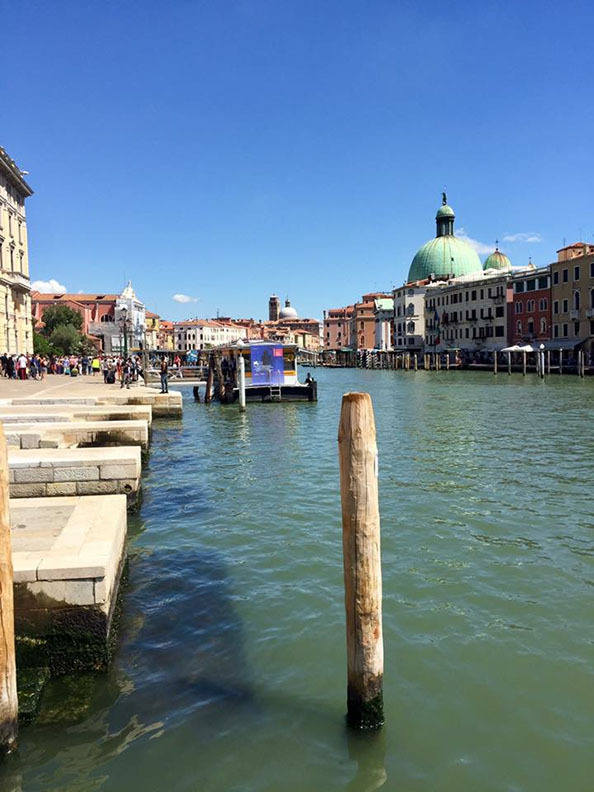 The Grand Canal, outside the Venezia Santa Lucia railway station. This was my cabin, I had to share this cabin with two of my cousins. 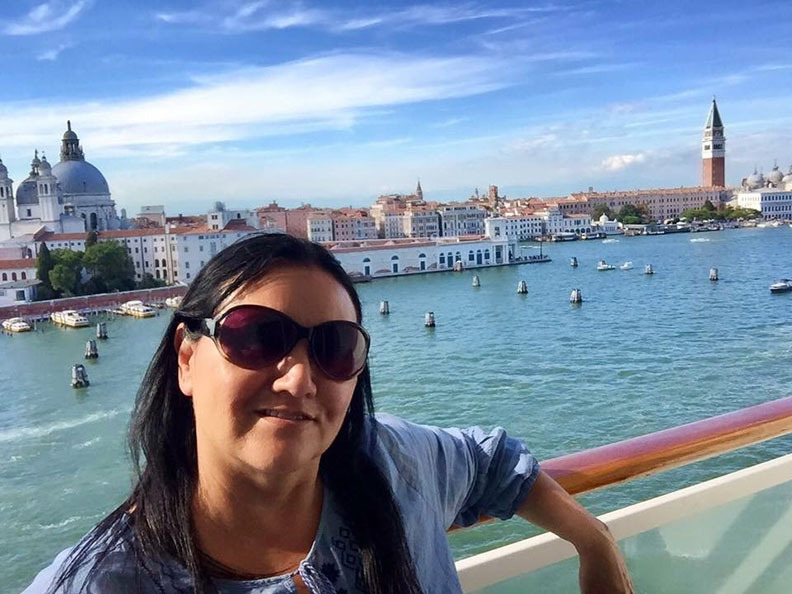 Hanging out on our cabin’s balcony, as the cruise ship departs from Venezia, Italy. View of the outer part of the Piazza San Marco, known as “St Mark’s Square”. It’s the main public square in Venezia. Goodbye Venezia! See you when we get back! 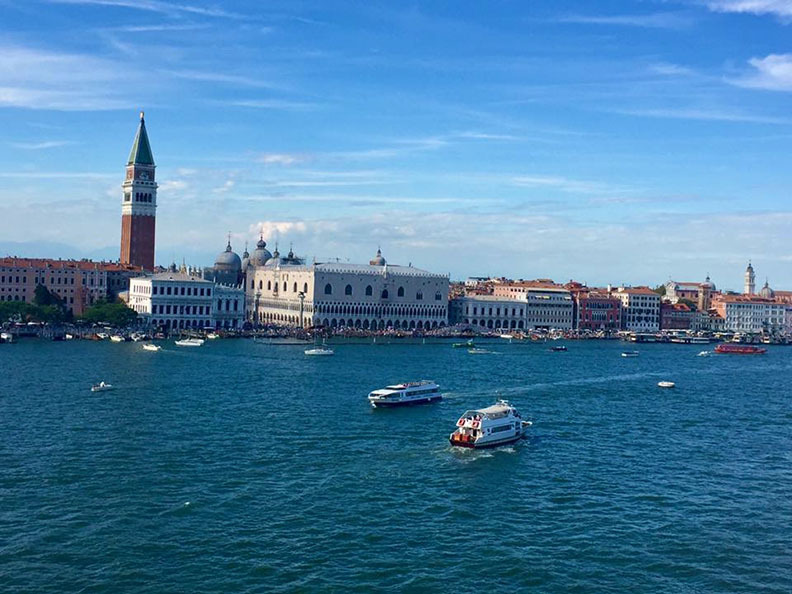 The last part of Venezia that you can see as your cruise ship departs.